Vitale wandered briefly into the poetry of Kashmir in November of 2001 and could not let go. Whether trudging through the perfectly etched landscape that included rice fields cascading into the valleys like delicately carved staircases, sipping saffron tea in the warmth of a Kashmiri home or being cradled in the tranquility of a wooden shikara, a gondola style boat, on Dal Lake, this place filled her with affections. Vitale wanted to understand Kashmir and delve below the glassy reflections in its still lakes. The mountains were mirrored perfectly until the oar hit the water, a crack rippled through the reflection and one began to sense that all is not what it seemed. Since the 15th century, the Himalayan kingdom of Kashmir has been known for its beauty and serenity. Everyone from Mughal emperors to British colonialists fell in love with its physical beauty. Since 1989, however, it has been a state under siege, with both India and Pakistan laying claim to it. Human rights organizations say more than 80,000 people have died as a result of the conflict; it is mainly Kashmiri residents who have suffered as the two nuclear armed countries fight a proxy war. 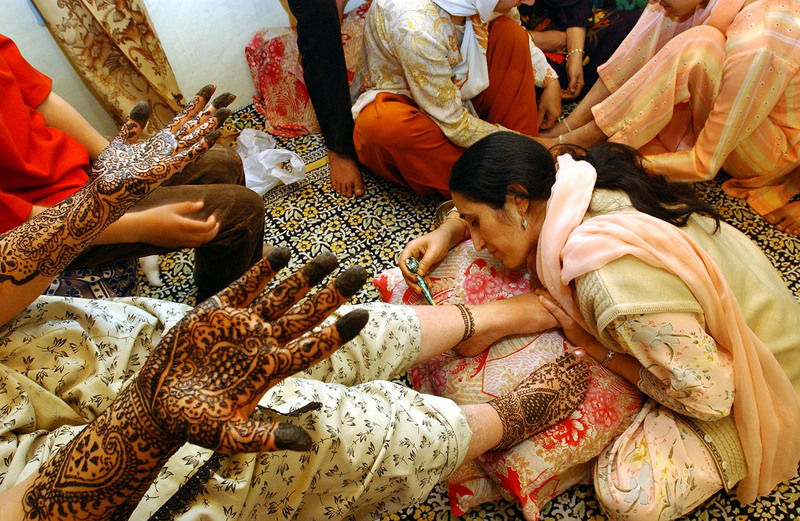 Henna is applied to the hands and feet of a bride before her engagement ceremony in Srinagar, the summer capital of Kashmir. Supporters of Jammu and Kashmir National Conference president Omar Abdullah sing at a rally for him on Dal Lake in Srinagar. September 22, 2002. Children cry as members of the Indian army bring back the bodies of five people who were killed when a grenade exploded in the hands of a man who was seeking to extort money from a family in the Budgam district of Kashmir. Locals said the man was a former militant who was extorting money from villagers. Thousands came out to mourn the deaths. Since the eruption of the anti-Indian revolt in the region in 1989, tens of thousands of people have died. Separatists put the death toll at between 80,000 and 100,000. March 10, 2004. 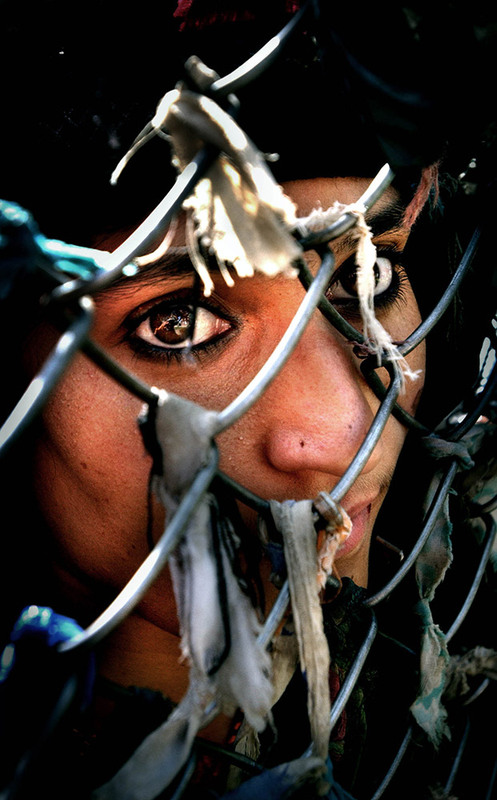 A Kashmiri woman looks through a fence outside a graveyard to try to see an unidentified youth who was found killed in the streets of Srinagar. Every Kashmiri citizen has been affected by this tragic conflict which has been going on for over a decade. Nearly a dozen militant groups are fighting New Delhi's rule. India accuses Pakistan of arming and training Islamic militants. Pakistan denies the charge and says it only offers moral and diplomatic support to Kashmiri separatists. April 3, 2002. 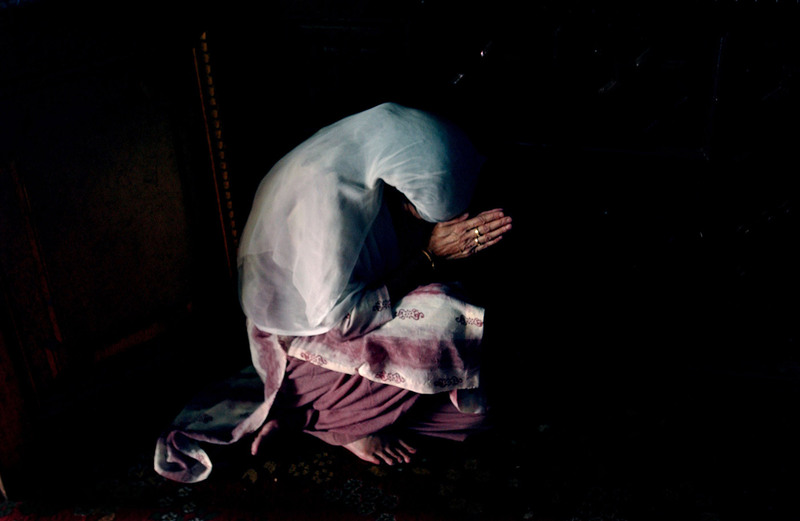 A Kashmiri woman prays inside Dastigeer Sahib Shrine in Kashmir. After the Friday afternoon prayers, protesters took to the streets to voice their feelings about the elections in Kashmir and Jammu and Kashmir police responded with tear gas and one arrest. September 20, 2002. 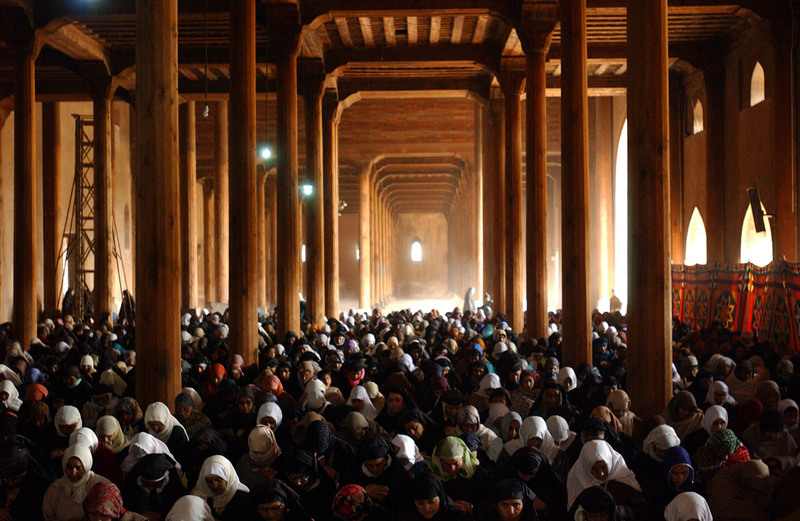 Muslims gather inside the Jamia Masjid mosque for the first Friday afternoon prayers of Ramadan in Srinagar. November 23, 2001. Children who were forced to migrate from their home in Pargwal, India cool off as a truck sprays water on them near near Ahknoor in the Indianheld state of Jammu and Kashmir. Indian and Pakistani troops continue to exchange heavy mortar, artillery and machine-gun fire along the line that divides Kashmir between them. 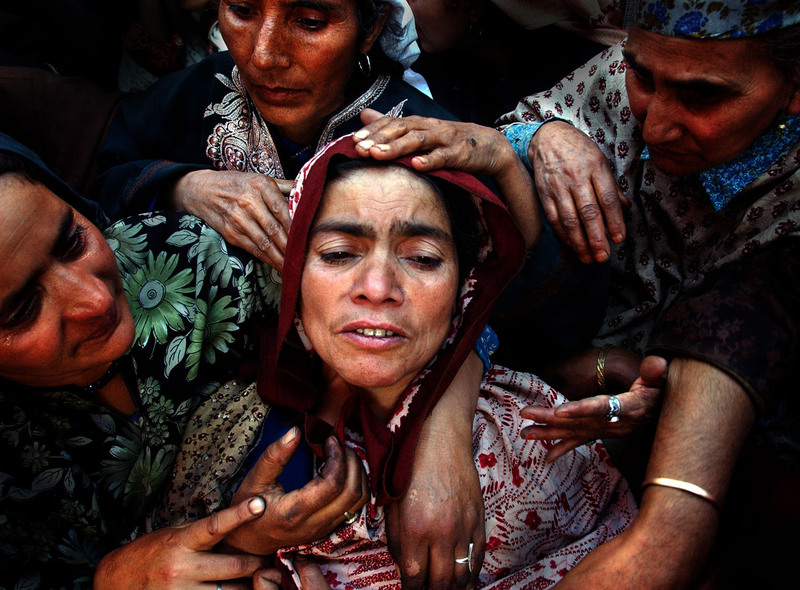 Relatives of Naz Banu, who was killed during an attack on Sakina Yatoo, a leading politician, mourn over her body during her funeral in the northern Kashmir town of Mirhama. At least 11 people were killed and a second abortive bid was made to assassinate a leading woman politician, just days before a crucial second round of polls. A Kashmir woman watches a famous Sufi saint from outside his fence in the hopes that he will answer some of her prayers and give her spiritual guidance in the village of Sopore. Though the majority of Kashmiri people are Muslim, there is also a strong legacy of Sufism in the region. This has created a special brand of Islam throughout the Himalayan area. August 19, 2002. In Western news accounts, Kashmir is invariably described as an important piece in a longstanding geopolitical puzzle. It is identified as the axis of relations between India and Pakistan, a “nuclear flashpoint” that could spark an unthinkable war in South Asia. While these characterizations are accurate, they overlook the intrinsic value of Kashmir as an entity in itself, as well as the human story of a long-ignored war that is slowly destroying one of the world's most exquisite cultures. On autumn nights before the insurgency began, Kashmiris would pack teapots and picnic hampers and drive out to the saffron fields, where they watched the moonlight silvering the purple saffron blooms far into the distance. Now, they do not venture out after dark. 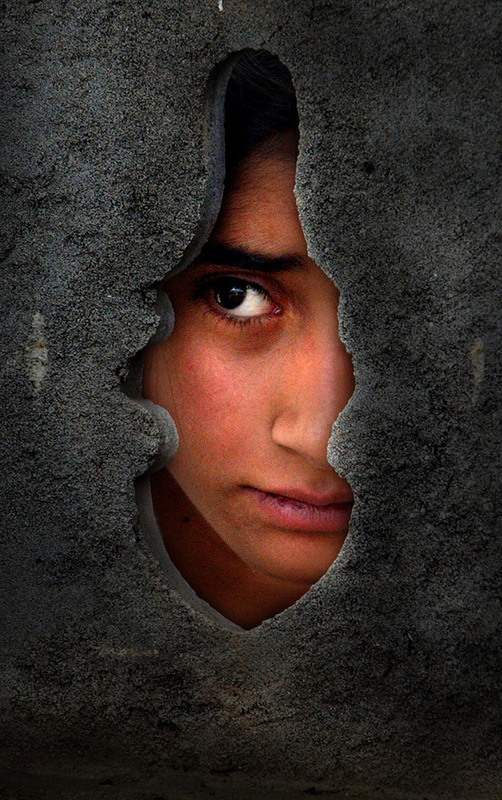 Kashmiris have a favorite saying, repeated with the regularity of a prayer by taxi drivers and almond- sellers, shopkeepers and schoolteachers: “When I leave home in the morning, I have no guarantee of returning alive.” Since 1989, conservative numbers estimate that at least 80,000 people have been killed in Kashmir. The number of patients at the only government-run psychiatric hospital in the Kashmir Valley has increased more than twenty-fold in the last decade. The conflict has eroded much that once defined Kashmir. Hindus and Muslims once shared neighborhoods, schools, and close friendships, but nearly all the Hindus fled Indian-governed Kashmir after being threatened by Muslim militants, and are now scattered across the dusty plains of India. Sufism, which exerted a gentle influence on Kashmiri Islam for more than a dozen generations, has been gradually pushed aside by a more radical Islam practiced by militants from Pakistan. For centuries, Kashmir’s Mughal gardens and wooden houseboats offered diversions to weary rulers. But leisure has vanished from Kashmir. No one visits, and fear has tainted the lives of those who make their homes amid its apple and apricot orchards, in its meadows and in the creases of its mountains. 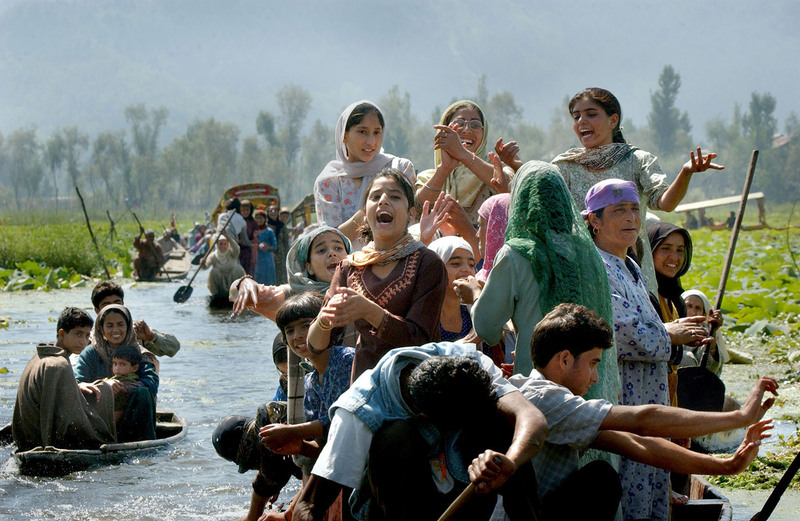 I wandered briefly into the poetry of Kashmir in November of 2001 and could not let go. Whether trudging through the perfectly etched landscape that included rice fields cascading into the valleys like delicately carved staircases, sipping saffron tea in the warmth of a Kashmiri home or being cradled in the tranquility of a wooden shikara, a gondola style boat, on Dal Lake, this place filled me with affection. I wanted to understand Kashmir and delve below the glassy reflections in its still lakes. The mountains were mirrored perfectly until the oar hit the water, a crack rippled through the reflection and one began to sense that all is not what it seemed. After 21 years of militancy, many Kashmiri’s still want independence, but even more, they want peace. Their land now lies in ruins. Many are dead and young Kashmiris leave if they can. They long for normalcy. but each day seems to bring only more casualties. It was my desire to share the stories of those caught in the conflict with the grace that they had been told to me, in a manner that did justice to the beauty, strength and suffering of Kashmir’s people and to the unique richness of its history and culture. Kashmir’s culture is too rich to be eradicated, its offerings to the world too great to be ignored. 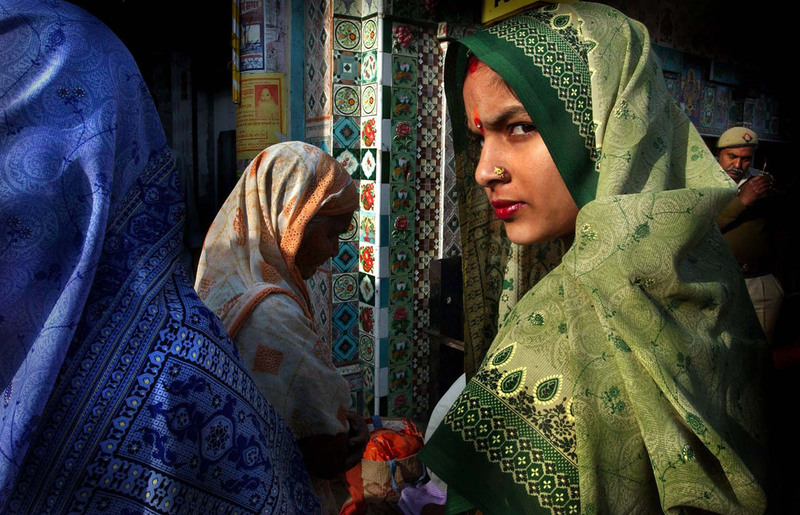 Ami Vitale has received recognition for her work from World Press Photo, the NPPA, International Photos of the Year, and Photo District News, and the South Asian Journalists Association presented her with the Daniel Pearl Award for outstanding print reporting on South Asia. Her stories have been awarded grants including the first-ever Inge Morath grant by Magnum Photos, The Canon female photojournalist award for her work in Kashmir, and the Alexia Foundation for World Peace. Vitale's photographs have been published in major international magazines such as National Geographic, Adventure, Geo, Newsweek, Time, Smithsonian and Le Figaro, among others. They have also been presented in international exhibitions including: Visa Pour L'Image, Perpignan, France; Reporters Sans Frontiers, Paris; the FotoArt Festival in Poland; the Open Society Institute and The United Nations in New York.